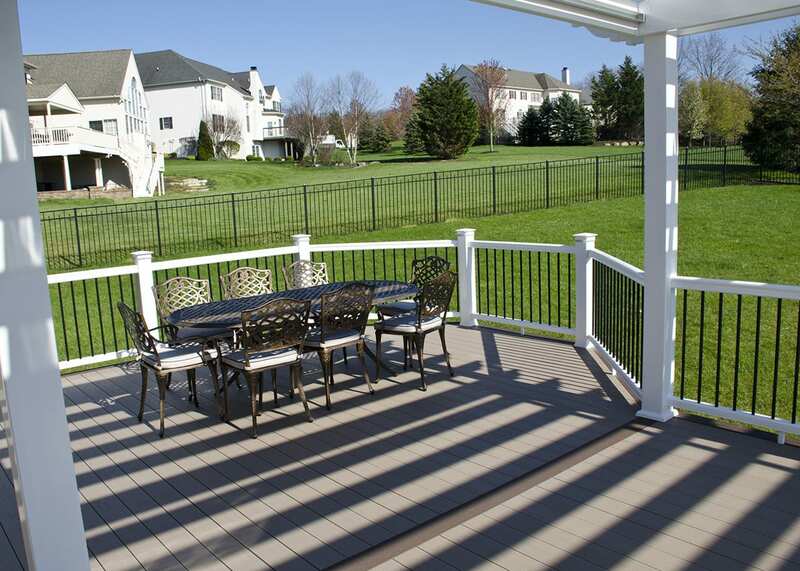 This custom TimberTech deck was built using sandy birch decking with rustic elm accents. 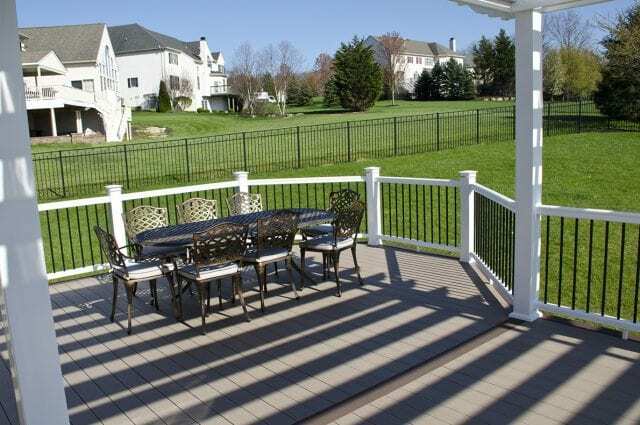 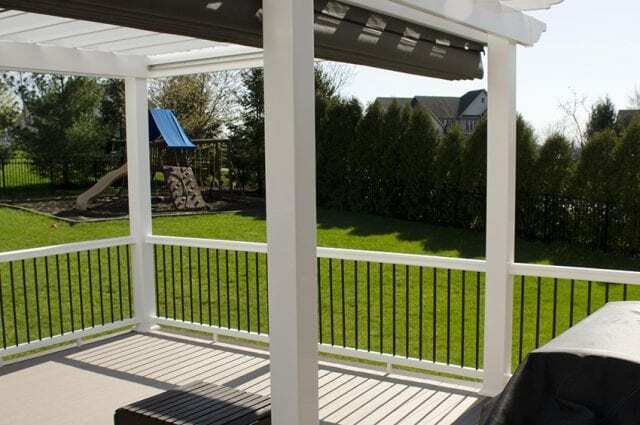 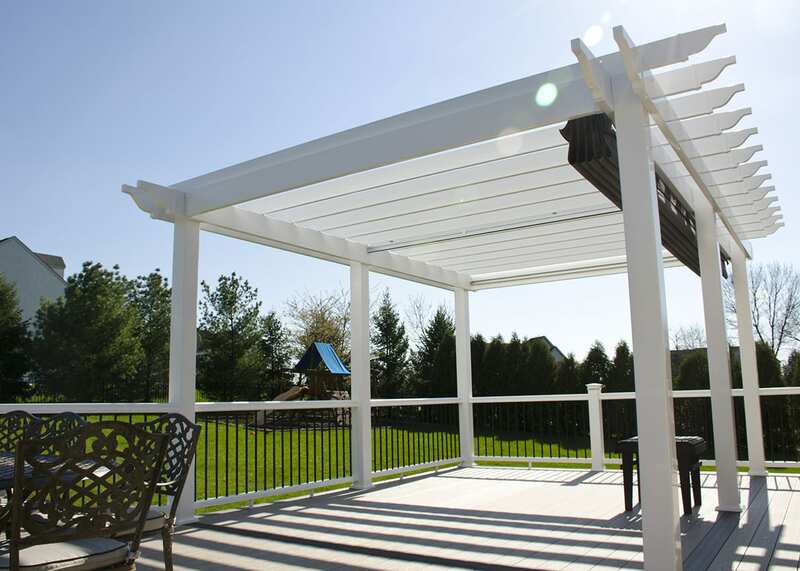 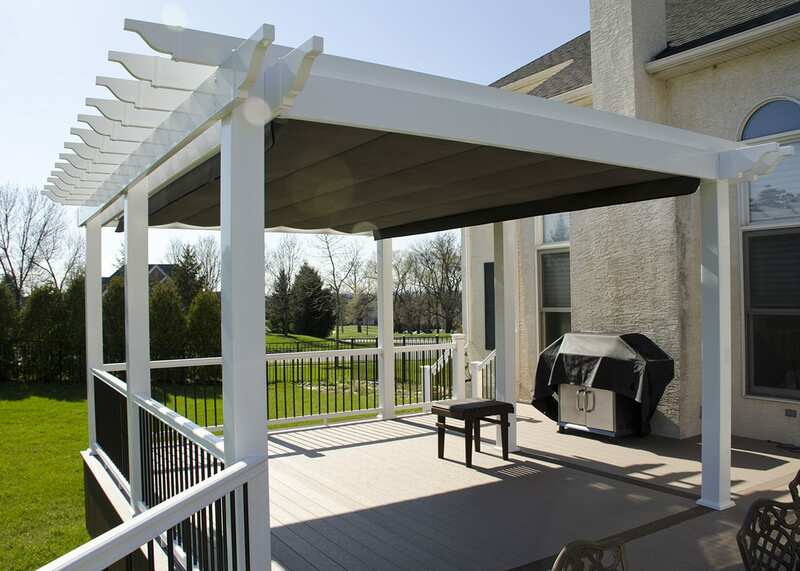 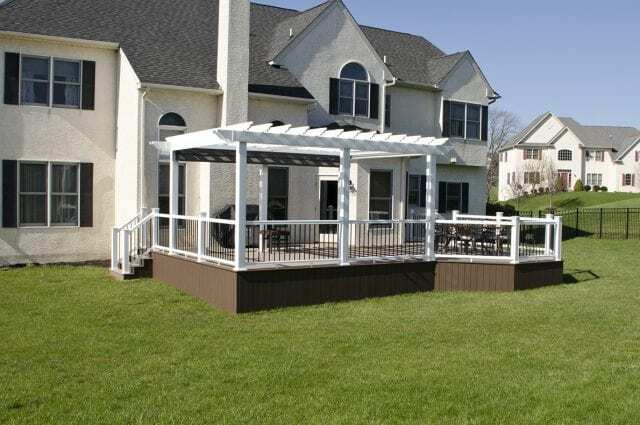 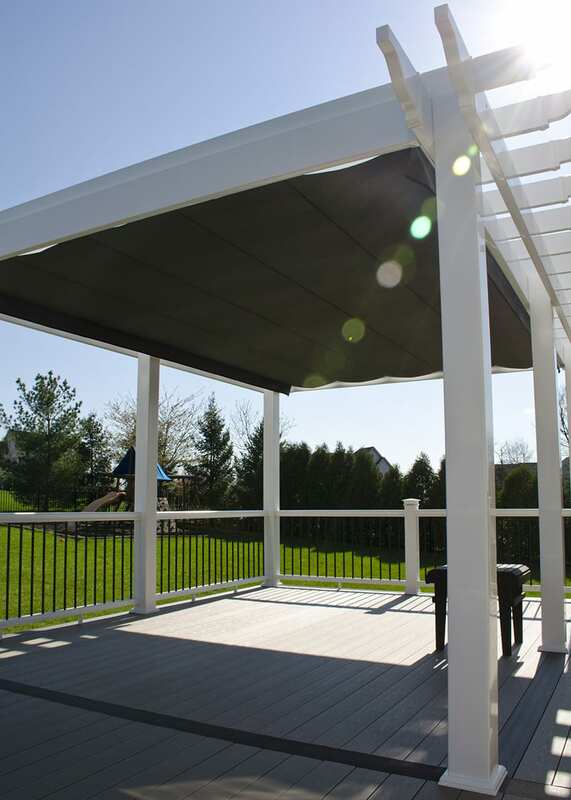 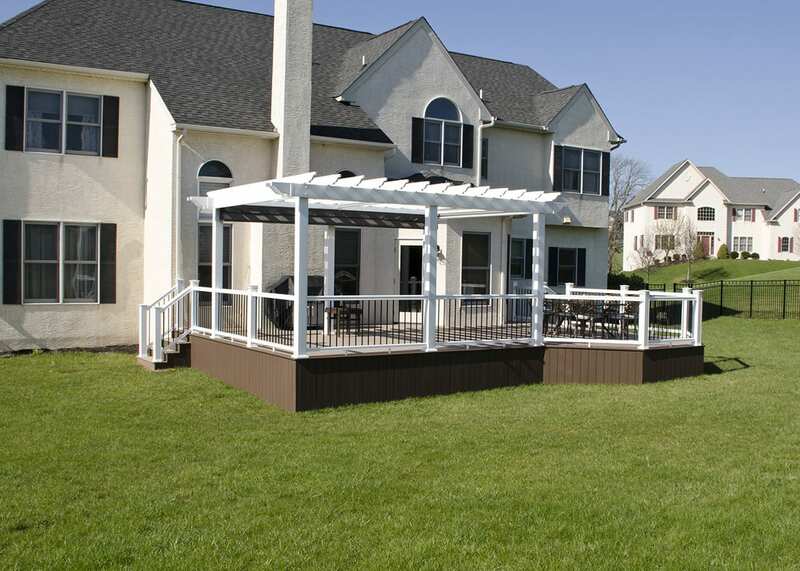 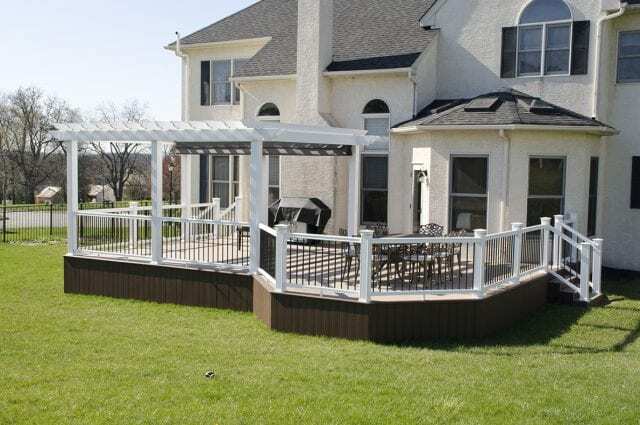 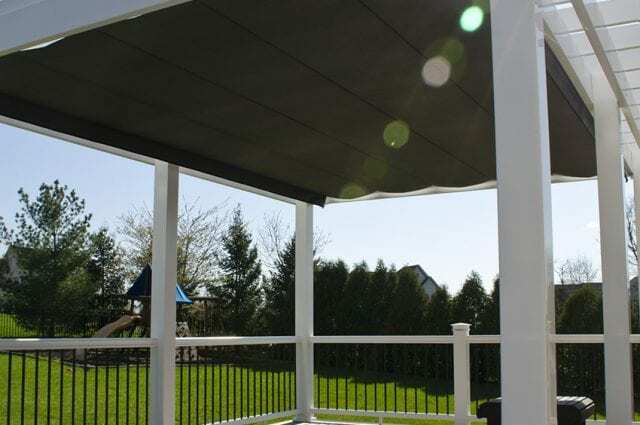 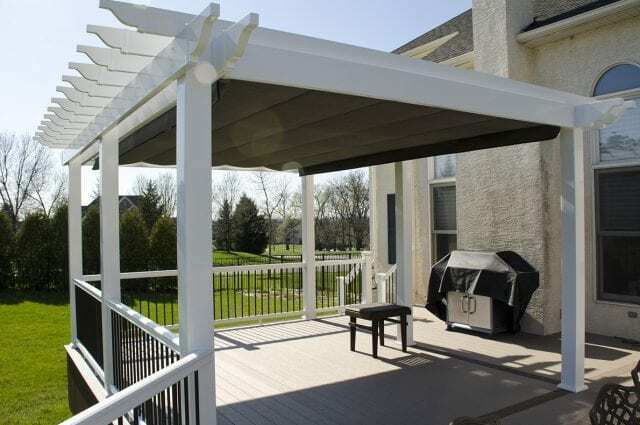 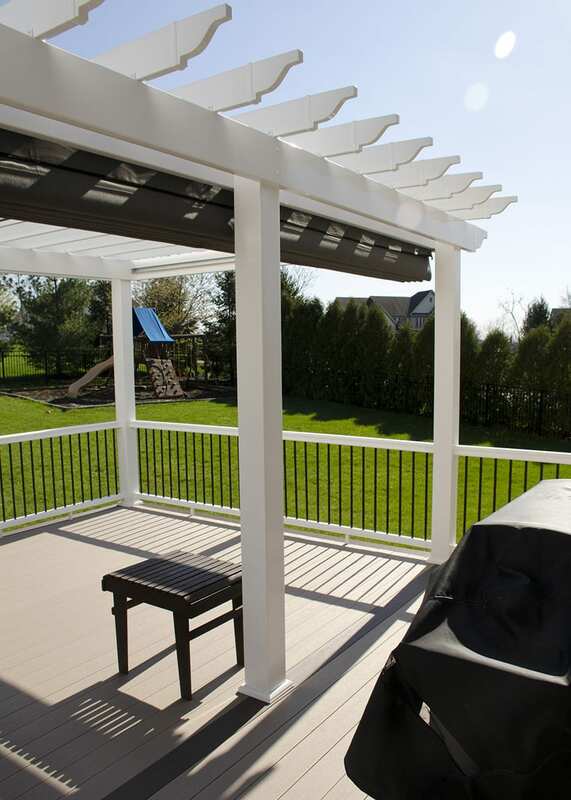 The space also feature Radiance rail railings in white along with a custom pergola equipped with a full sun shade.The space also is equipped with a complete lighting package. 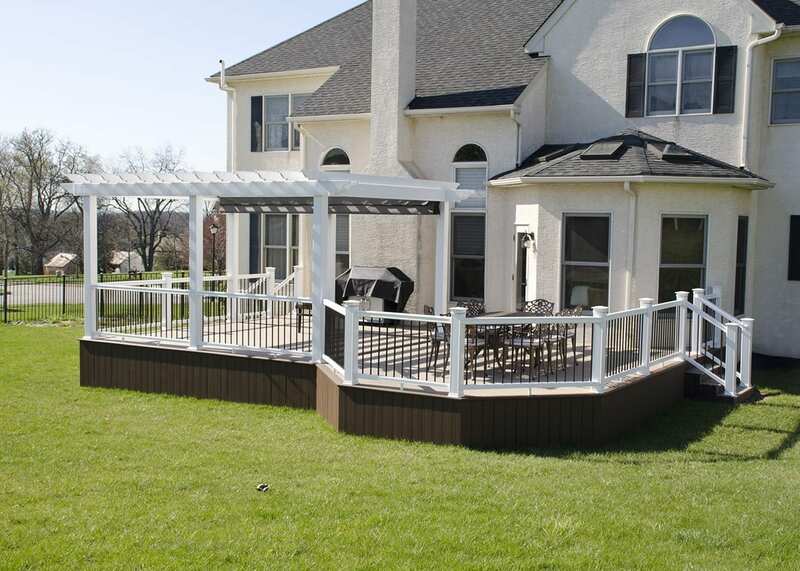 The Keystone team finished this project in March of 2016.